We’re no strangers to the three letter acronym over here at SMP, so we thought we’d put together a mini guide to all things APR. We’re firm believers that knowledge is power over here at SMP HQ and knowing just a bit about APR is very useful indeed. APR stands for annual percentage rate, at the most basic level this can be explained as the charge you pay for the cost of borrowing. It’s a charge that must be applied in the same way by all companies to financial products, which means you are able to use it as a way of making direct comparisons between things like loans and credit cards. In return for borrowing money you agree to pay a percentage of the money owed, it also must take into account other charges you have to pay – perhaps arrangement fees or late payment fees. However, if you have optional extras on your credit card or loan such as payment protection insurance (PPI), these are not usually included in the APR you are quoted, so make sure you ask and be clear about whether you want or need those extras. Payment of APR is typically spread across the year, so in real terms, if your APR is 12 per cent you will be charged one per cent of the amount you owe each month for the borrowing. On a £1,000 balance this would be £10 interest each month. Things aren’t quite this straight forward though – as you’re likely to be required to pay a minimum amount off the debt each month and paid monthly, which means the original amount should be decreasing on a monthly basis while also growing by the agreed monthly interest. This is due to compound interest. Sometimes, when lenders want to make lending sound cheaper, they will quote offers in terms of monthly APR because the percentage it can sound lower. For example, this may happen if your credit card provider decides to change the interest it is charging you. To make the deal sound better you may be told that you’re monthly interest is going up to 1.5 per cent, which actually equates to an APR of 17.9 per cent. Nudge it up slightly more to pay 2 per cent monthly and you arrive at APR of 27 per cent. Borrowing for longer means that your debts grow more because you start to pay interest on interest added to the original amount. APR is a valuable financial tool that helps you evaluate whether a product is right for you and allows straight comparison of the cost of borrowing. If you were to look at the cost of a mortgage based on the interest rate without taking into account things like arrangement fees, a product with a lower interest rate but high arrangement fee might seem more appealing. In reality, a mortgage with a higher interest rate but lower fee could cost you less, so showing these costs combined makes for fairer comparison. One thing you do need to be careful of when researching products is the term representative or ‘typical’ APR. Companies are required to display the typical cost of a product and can quote a percentage as typical APR offered if at least 51 per cent of people accepted for borrowing on the product will pay that APR. However, this means you may fall into a proportion of up to 49 per cent of people for whom the cost of borrowing is more. You may also have to fulfil certain conditions in order to be accepted for the advertised representative rate, such as applying for the product online. A variable APR is one that can change up or down and is not fixed for the liftetime of your borrowing. It’s worth noting that a fixed rate APR can also be changed by your provider but they will need to write to you before they do this and should only apply your new rate to borrowing from this point. You can refuse to accept a new fixed APR, explaining to your provider you do not wish to accept the new terms and then refraining from spending or using the card other than to pay off your existing debt, which should remain subject to the original terms. You’re more likely to be able to access products with a good APR if you have a good credit score and it’s this score loan and credit card providers look at when deciding what rate you qualify for and whether you’ll be bagging the more appealing advertised representative APR. There are a number of things that could impact on your ability to secure better rates such as making late payments on other credit cards or loans or paying other types of credit late – like your mobile phone bill. When you apply for a product you may be rejected outright as being unsuitable for the product or offered a personal APR that is different from the representative APR advertised. As you might expect, there’s also an acronym that refers to the annual rate you can earn on savings. This is the annual equivalent rate or AER, which tells you how much your savings will earn in interest over the course of the year. Some savings accounts will pay AER monthly while others will pay it annually. As long as you don’t make any withdrawals during the year or add to your savings your AER and gross rate should be the same. However, AER compounds like APR, which means until you get to the year milestone you would earn slightly less (around 0.1 per cent less) with monthly AER compared to the gross rate. Your plans for your money will help guide your choices as if you plan to spend the money before the year is up but want to be able to earn some interest before you withdraw it, an account with AER paid monthly may be better for you. You also need to bear in mind that you can’t compare AER on traditional savings accounts versus ISAs directly as the interest on the latter is tax free. Is APR a good measurement? Though APR can be useful it’s not always the best measurement nor should a low APR be the sole decider for you taking out a product. If you’re applying for something with a variable APR it’s unlikely you’ll pay that APR for the full term of your agreement and as previously mentioned, you won’t always be offered the typical APR advertised. 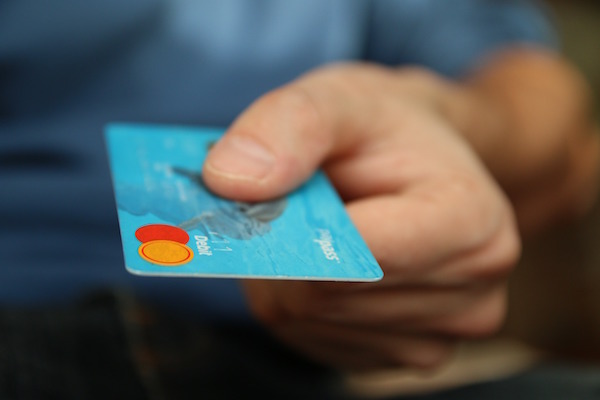 If you’re on the hunt for a credit card, your intentions for use for the card will be incredibly important as the APR will be largely irrelevant if you plan to pay off the card in full each month, instead you’ll probably want to look out for benefits such as cashback or air miles for spending on the card. And, if you want to move a balance from a card with a high APR to a lower one, you’ll also want to take balance transfer fees into account. Of course, you may also want to factor in other lender credentials like reputations for great customer service or a positive record on financial ethics. For help with aspects like these when searching for a credit card, check out our customer reviews.